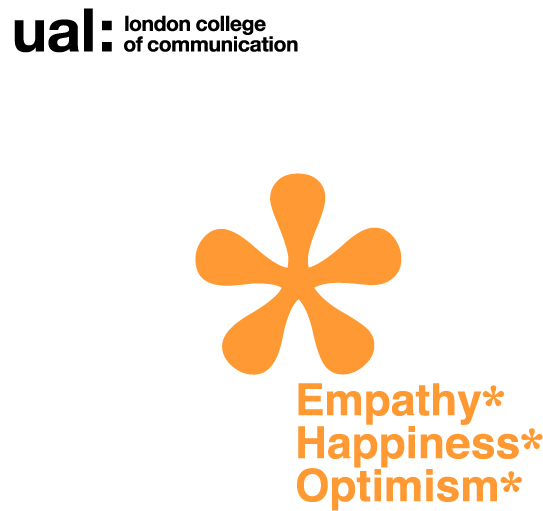 The pilot project presented insights from an applied learning on relationship between Emotional Intelligence (EI), academic performance and design thinking among 46 second and third year students on the BA (Honours) Design Management and Cultures (BADMC) course at the London College of Communication, University of the Arts London. The project was informed by research that shows emotional intelligence as a critical predictor of academic performance, work and life success (Salovey and Mayer 1990; Goleman 1995; BarOn 2007; Seal et al 2010; Petrides et al 2007). Practice-led research shows that there is a correlation between EI and design thinking – a human-centred (rather than economically or technologically driven) problem solving design research process that involves the imagination, creativity and innovation. Tim Brown (2008), CEO of IDEO writing in the Harvard Business Review made the connection between emotional Intelligence and design thinking. He identified a number of the personal traits that design thinker needs to have such as empathy and optimism. As the new course co-leader, there was a curiosity about emotional intelligence learning and its relationship to developing innovative design management and cultures pedagogy. This was in line with the UAL’s drive to improve students’ academic performance and employability. According to Seal et al (2010), it is not enough to produce the brightest and the best technically minded experts. Therefore, universities must seek to develop the whole person (intellectual, emotional and social) to better prepare graduates for future success. Students who are able to develop their capacity to understand themselves, the world, build meaningful relationships and foster positive change have the advantage in education, work and life. (Seal et al 2010). This echoes BADMC ambitions for our students as future design leaders and managers. The insights were based on qualitative interpretative data gathered from a range of sources including: students workshops, personal statements, TEIQue reports, coaching, testimonials, reflective journals; tutors’ observation, reflection and interpretation. The students’ provided important perspectives on how emotional intelligence can influence and improve their overall well being and academic performance potentially. This indicates that that we should consider how the BADMC curriculum and evaluation system needs to be designed sufficiently broad to include emotional intelligence learning, since it is a key aptitude for careers in the design industry especially leadership, and management and working as well as the rapidly changing global world of work. This pilot project presents some insights into the benefits of EI to the two groups of students. Both the second and final year students evidenced a good understanding of what being emotionally intelligent is and feels like, how it has helped their personal professional development. The students who completed the TEiQue assessment expressed increased levels of self-awareness and self-confidence. There was evidence of the students using human centred approach to finding solutions to their personal situations. The scope and time frame of the pilot project did not enable an in-depth exploration of the relationship between EI and design thinking and employment. EI learning and development is an incremental leaning process. To find out the full impact of EI on developing employability and design thinking skills, it is necessary to continue working with the second year students in their final year and monitor the alumni over twelve to eighteen months.